We negotiated a $300,000 settlement on behalf of a woman who suffered serious injuries in a rear-end crash on I-5. The case was resolved after mediation and a month before trial, saving the client tens of thousands of dollars in court costs. 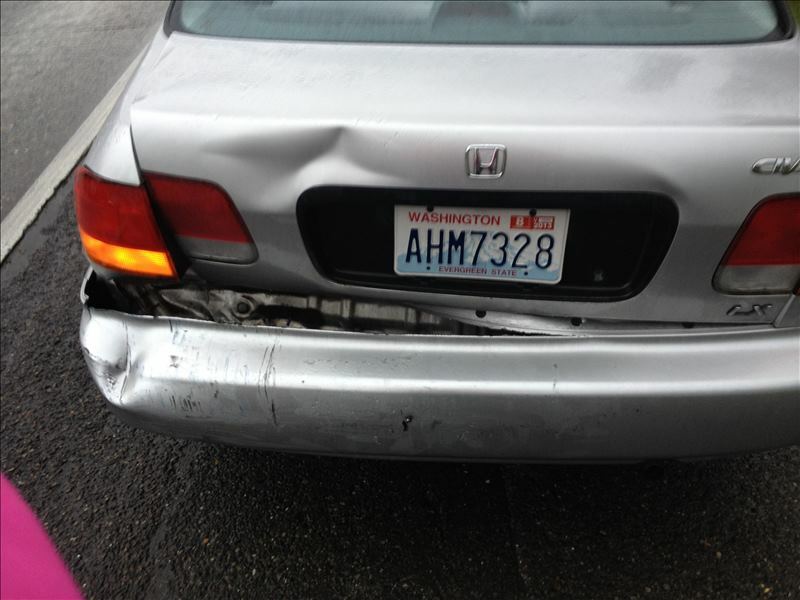 Our client, Whitney, was traveling southbound on Interstate 5 in April 2013. When she slowed for traffic near the junction at Northgate Way around 7 p.m., her 1996 Honda Civic was rear-ended by a driver in a 2003 Infinity FX45 that was, according to police, following too close. The lack of following distance caused the crash, and Whitney's Civic was struck on the left rear bumper by the other driver going 30 miles per hour. The at-fault driver said the reason he rear-ended Whitney was because he bent over to pick up a cigarette he dropped. While the property damage wasn't devastating, the injuries Whitney suffered were traumatic. She was treated for a broken hand, disc protrusion and nerve damage as the result of a rear-end collision on I-5. Whitney needed a cortisone injection, an epidural in her lower back and a microdisectomy at her L5-S1, as well as physical therapy. With Whitney's medical bills going over six figures, she contacted Davis Law Group, P.S., about a year later for help with her personal injury claim. Attorney Chris Davis and his legal team was ready to fight for Whitney, immediately beginning the process of recovering the appropriate damages. It's relatively rare that personal injury cases go to trial, but Mr. Davis was ready to pursue every legal avenue to make Whitney whole. After over two years of legal work, the two sides in this claim underwent mediation about a month before a jury trial was set to begin. Mr. Davis and his team settled for $300,000, saving Whitney tens of thousands in court costs. 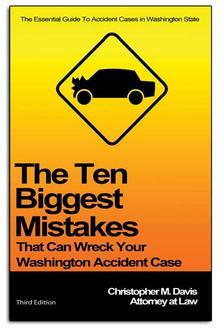 Davis Law Group, P.S., negotiated a $300,000 settlement for a woman who was rear-ended while driving on I-5.